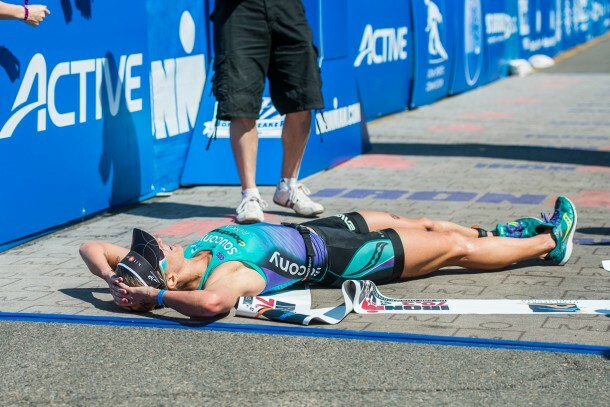 ST. GEORGE – This year’s Ironman 70.3 St. George U.S. Pro Championship attracted more than 7,500 visitors to Southern Utah and directly infused an estimated $5.5 million into the local economy. “Hotels, restaurants, and shops all benefit when thousands of visitors from all over the world show up on our doorstep,” said Roxie Sherwin, director of the St. George Convention and Tourism Office. Ironman 70.3 St. George is expected to generate more than just a one-time economic boost for the area. According to a survey completed by the tourism office during the May 3 triathlon, an overwhelming 82 percent of visitors reported that they plan to return and vacation in St. George. The unprecedented sold-out field of professional and amateur athletes represented 25 countries and included some of the biggest names in the sport. What’s more, the St. George race is the focus of a half-hour television program that will air this summer in more than 100 cities across the country. This is the fifth consecutive year that Washington County has hosted an Ironman race. The destination has quickly flourished as one of the most popular IRONMAN venues in the world because of its challenging course, unmatched scenery and tremendous community support. 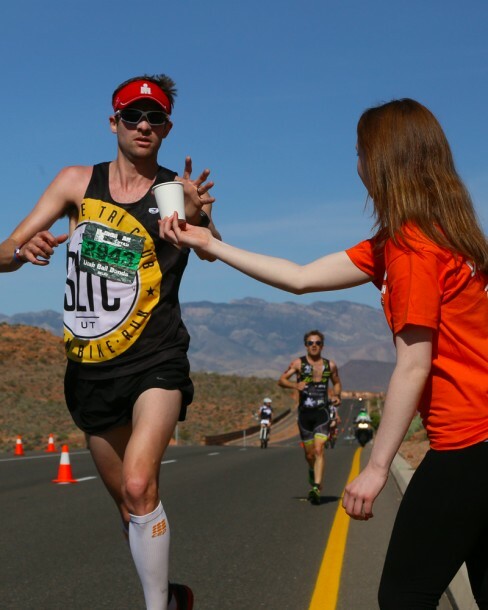 After crossing the finish line, the athletes flocked to social media to praise the Ironman 70.3 St. George for its welcoming atmosphere and legions of accommodating volunteers. The survey also revealed that 55 percent of non-local athletes plan to return to Washington County for future athletic training. St. George offers “everything from A to Zion” for families and adventure seekers. The celebrated area offers easy access to Zion National Park and several dedicated wilderness and recreation areas for hiking, climbing, cycling and trail running. A stroll through the city’s picturesque downtown provides boutique shopping and eclectic dining. For those seeking the neon lights, Las Vegas is only a two-hour drive away. To easily plan your visit, use our interactive planner linked here. 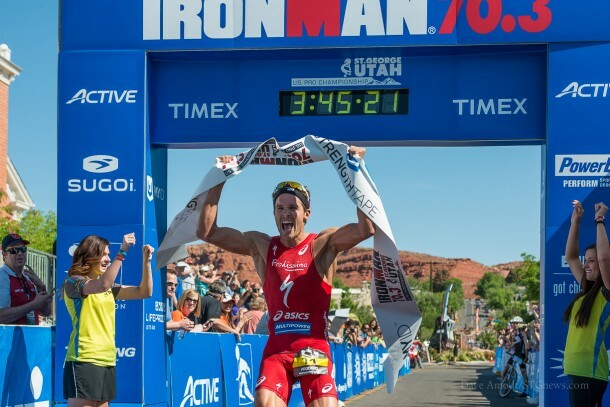 About Ironman 70.3 St. George: The race starts with a 1.2-mile swim at Sand Hollow State Park, followed by a 56-mile bike through scenic areas such as Snow Canyon State Park and finishes with a 13.1-mile run that ends in historic downtown St. George. Phew I am so glad that the Ironman and the Marathon are here, because service sector jobs pay so well. But then again wages are purposely held down in this area! Maybe St George should focus on getting good paying jobs.